Fero Mobile, the fastest growing mobile phone brand in Nigeria, launched the Royale X2 Smart phone device into the Nigerian Markets earlier this month. The Royale X2 is a classic High End Smart Phone that runs on the Android Nougat 7.0 operating system. The device comes with a high definition 5.2 inch display screen, which has a multi-touch feature and a 2.5D Front Dragon Trail Glass that makes it rugged and durable. It also comes a 3GB RAM and 32GB internal memory powered by a 1.25 GHz 64 bits Quad-Core processor. It has a Finger print scanner for enhanced security, and different fingers can be linked to open different apps quickly – literally at the touch of a button. It boasts a 4,000 mAh Li-Polymer Batter with fast charging capability. The Royale X2 boasts a 13 Megapixel back camera, an 8 Mega pixel front camera that can shoot wide angle selfies, which look great at night due to the moonlight flash. The back camera features LED Flash and auto focus, among other properties. It is a dual SIM device that supports 2G, 3G and 4G connectivity while also supporting a microSD that can increase storage capacity up to 128GB. 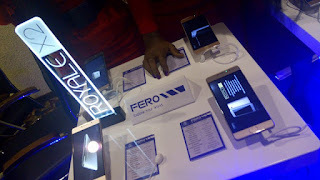 Speaking at the launch, Director, Nigeria and Emerging Markets at Fero Mobile, Phiroze Seth, said “The Royale X2 is a device that will excite smart phone enthusiasts in Nigeria. 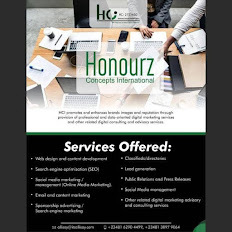 Our products are designed to meet the unique needs of Nigeria. A lot of research has gone into understanding the market and we are proud to say that this device will surpass the expectations of Nigerians in terms of design and performance. He claimed that in just over a year of entering the Nigeria, the Fero brand has made great in-roads into the Nigerian market, saying the brand’s visibility has greatly helped its popularity amongst consumers.